These Chocolate Sugar Cookie Blossoms are a rich take on traditional Blossom Cookies. 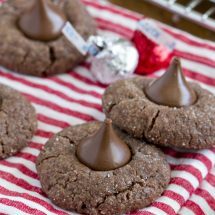 Made easy with Betty Crocker™ Sugar Cookie Mix and classic Hershey’s® Kisses and just four additional ingredients, these cookies are sure to be a new favorite and the hit of your cookie swap this year! Each year during my childhood, and even into my adult years, my mom and I made Peanut Butter Blossom cookies. Once I had kids we thought that tradition would continue, but unfortunately my son is allergic to peanuts. After a few years of no peanut blossoms I finally decided that I was going to come up with an alternative to our favorite cookie. I tried them with cookie butter instead of the peanut butter, and they were good, but there was a richness that was missing. 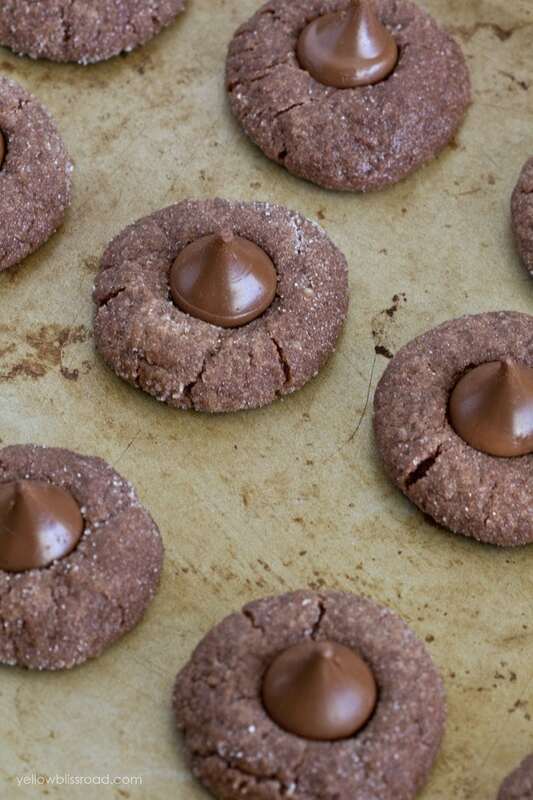 This year I decided to revamp a chocolate cookie recipe I’d adapted a few years back and let me tell you folks, these seriously give those old peanut butter things a run for their money! 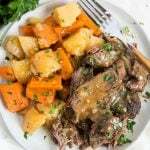 This recipe is simple and easy and tastes like they’re baked from scratch, and all of the ingredients were easy to find at my local Albertsons grocery store. It starts with butter and cream cheese, mixed until nice and fluffy. 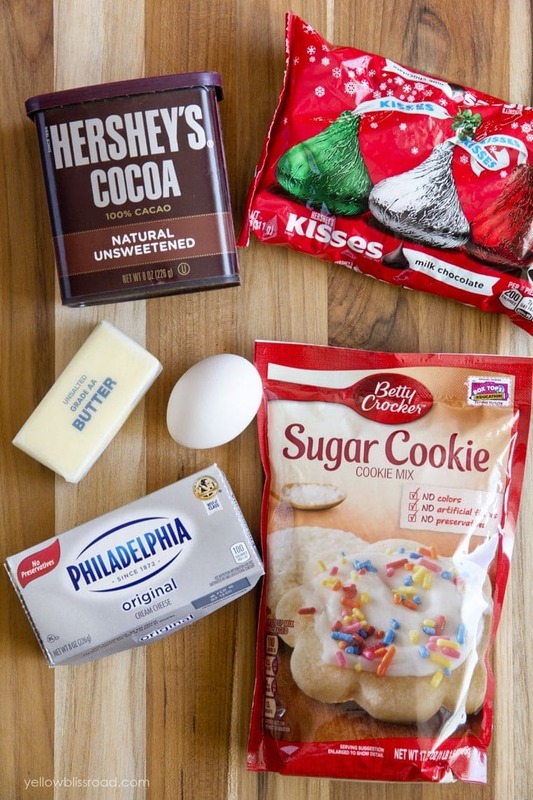 Then an egg and cocoa powder are added, followed by a package of Betty Crocker sugar cookie mix. The cookies are rolled in white sugar (this is optional, but recommended) and baked until they’re almost done. 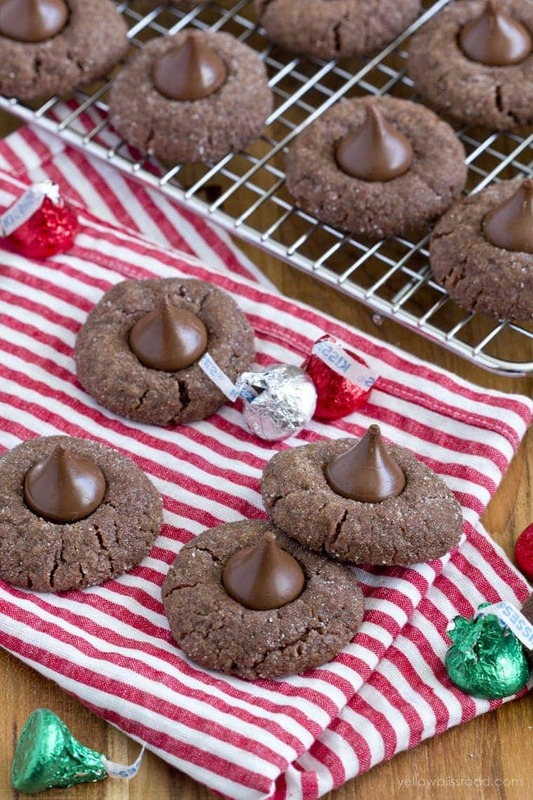 Top with a Hershey’s Kiss and pop them back in the oven. You want the Kisses to soften, but not melt. So no longer than 2 minutes, maybe a little less. The chocolate will retain it’s shape as it cools, but will stay soft for easy munching! Pour sugar into a flat dish, like a baking pan or pie pan and set aside. In a stand mixer or with a hand mixer in a large bowl, cream together butter and cream cheese until well blended, about 1-2 minutes. Add cocoa and blend well. Stir in sugar cookie mix just until combined. Mix will be dense at this point, so you may need to stir with a wooden spoon. Using a cookie scoop for consistency, measure a scoop of dough and roll into a ball. 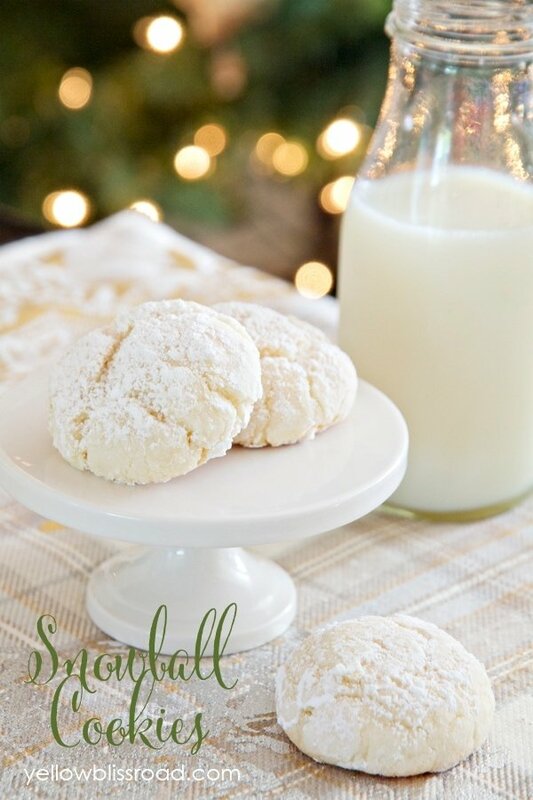 Roll balls of dough in the granulated sugar until coated. 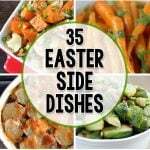 Place 2 inches apart on cookie sheets. Gently press down slightly with your hand or a flat object like the bottom of a glass. Bake for 7 minutes (no more) and remove from the oven. 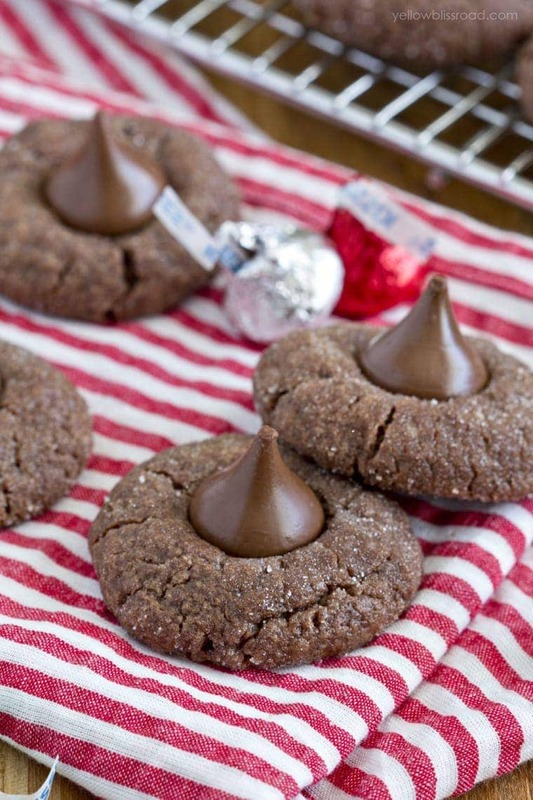 Quickly and gently press kisses into each cookie just until the cookie begins to crack slightly. Return cookies to the oven for 1 1/2 - 2 minutes. Cool for a few minutes on the cookie sheet before transferring to cooling racks. Be sure to check out these new recipes, like Holiday Peppermint Swirl Cake or Peanut Butter Cup Cheesecake Brownies, from Albertsons Safeway, Betty Crocker, and Hershey’s. Remember to shop your local Albertsons store to purchase products to create your own holiday treats. 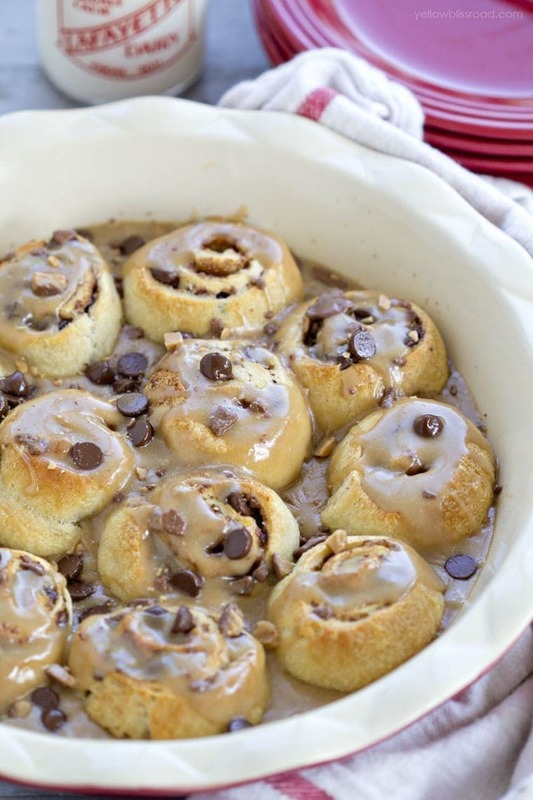 For all sweet treats go HERE and for all recipes go HERE.